Bamboo poles are used not only by Chinese to build bamboo houses, they are also widely used in home-improvement in the Western world. What are the common uses of bamboo poles? Bamboo poles are gaining more and more favor in the home-immprovement industry. They can be used in flooring, fencing, decking, lumber, paneling, slats, edging, matting, furnishing and thatching, etc. Bamboo poles that are harvested from 3-5 year old bamboos are the best for achieving maximum wall density and thickness. 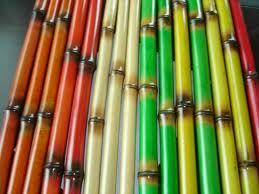 Bamboo poles should undergo a natural curing process because the process can ensure its strength, longevity and beauty. The reasons lay on both personal taste and the objective qualities of bamboo poles. 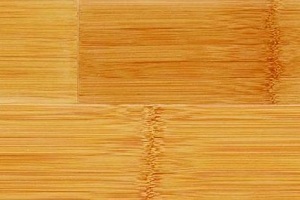 First, bamboo is actually a grass not wood, but can be used like wood. You can say it's the only natural renewable "wood" resource in the world, a "green" material. Since bamboo is a grass, you do not kill the plant when it's cut. It grows back on the same stem just like other grasses. Bamboo poles possess amazing structural properties that allow for innovative construction applications. Since bamboo is hollow and easy to bend, it is a unique element that can be incorporated into designs that cannot be achieved with most other structural materials. Another advantage bamboo poles have is their wieght. The weight of a bamboo pole is between one tenth and one hundredth the weight of other building materials, yet in most cases it provides better durability, is more economical and more appealing because it's more aesthetic than concrete, wood and steel. Besides, bamboo wood fiber is also naturally termite resistant. This characteristic makes it a better option in termite prone regions than many kinds of tree wood.